There's nothing better than Great British Bake Off season. This year I'm looking forward to baking along with the show as part of Ala and Amanda's Bake Off Bake Along. By doing so I hope to try out lots of new recipes...in the safety of my own kitchen without the watchful eyes of Mary and Paul! During week one Mary and Paul set the tent the cake challenge. For the signature challenge contestants made a madeira cake, frosted walnut cake for the technical challenge and black forest gateau for the showstopper. I've never made any of these cakes before so thought it best to start off simple for week one, a madeira cake. Well, let me tell you now, madeira cakes aren't that simple, especially if you're running on two hours sleep! I went for an almond and raspberry version, which Mary would have deemed to have been underbaked and Paul would have been ashamed to see that I hadn't even attempted any candied peel and I most certainly didn't have that signature crack. I skipped straight past the option of a walnut cake and went straight ahead with a showstopper, all guns blazing, no half measures. 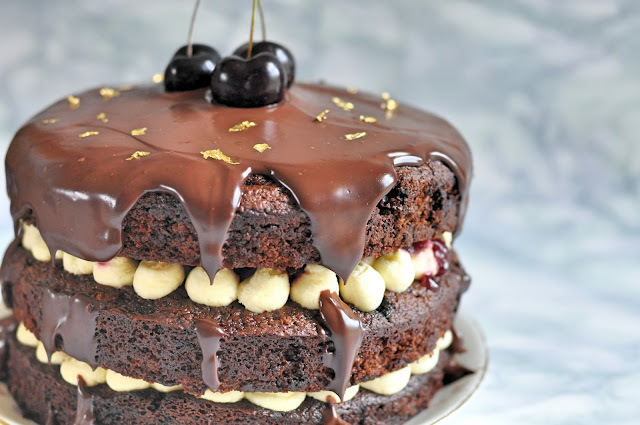 Using a classic BBC Good Food recipe, I opted for amaretto instead of kirsch, used morello cherries in the filling and even topped with some gold leaf. As Mary and Paul weren't available to judge, or even Mel and Sue, I invited some guests over for Afternoon Tea to judge. This cake was most certainly a showstopper and towered over the table. Unfortunately (or not! ), this cake was a little wonky as I was quite generous with the alcohol soaking, it sat a little wonkily and collapsed when slicing. Either way I'm still impressed with the taste and would definitely use this recipe again. Wow! Fantastic job on this! It's so pretty. 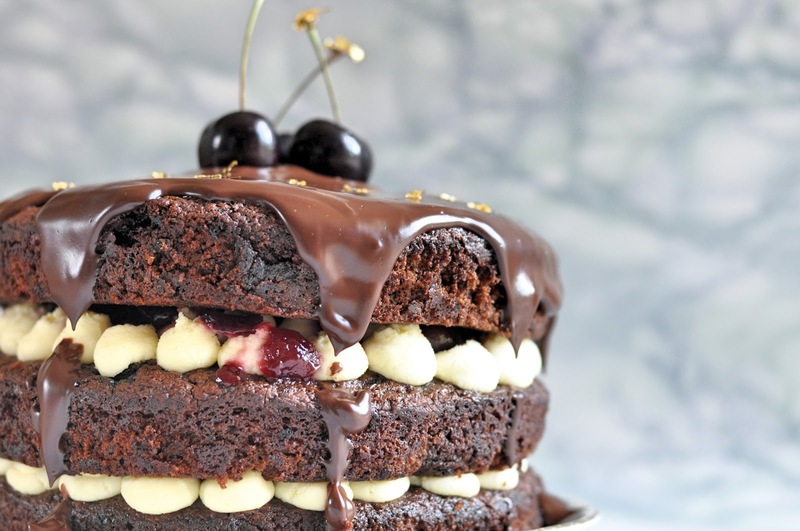 I am so pleased someone made the black forest gateau! I bloody love black forest and it needs to make a massive come back. I'm also very fond of wonky baking as it usually means there is so much delicious going on that the foundations are unable to support it, so it must be eaten quickly. All good. I've never even had it before, but obviously it has alcohol in it and I'm down for that! Hahah and that we did, didn't last longer than 24 hours. My cake dedication is REAL! This looks delicious Sophie and I love the gold leaf! 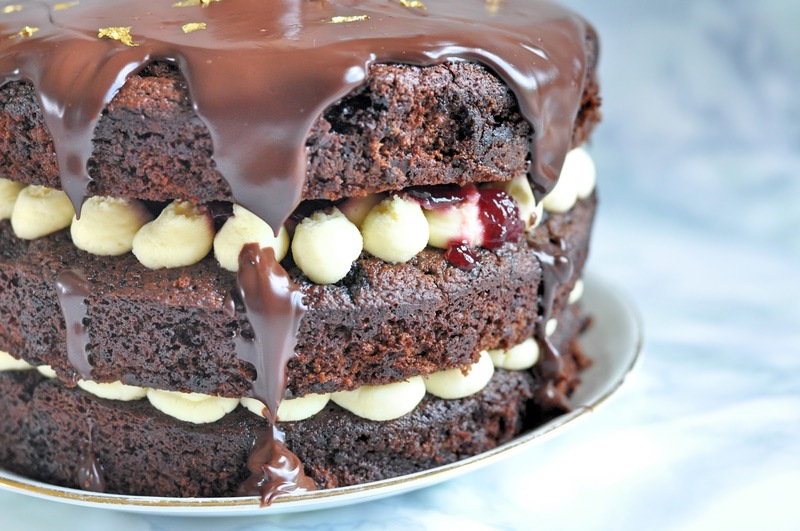 I've never made a black forest gateaux, but this looks amazing. Blogger, baker and burger enthusiast! Visit Sophie Loves Food's profile on Pinterest. Copyright @ Sophie Loves Food. Design by MangoBlogs.